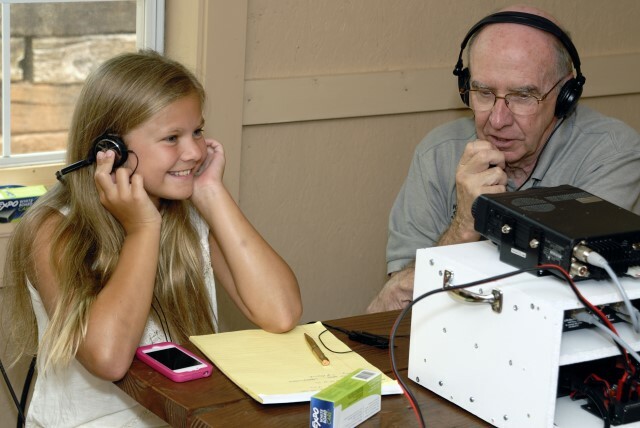 The LaGrange Amateur Radio Club is a very active club located in LaGrange, GA, which is about 60 miles southwest of Atlanta, GA. The Club provides communication capability both during times of emergency as well as in support of many civic activities. The Club is an active ARES club and is closely associated with the Red Cross. When requested by either the Red Cross or other local community officials, the Club can provide and operate a base station capable of operating on HF and VHF frequencies using emergency power. In addition, we can provide trained operators in their own radio equipped vehicles to provide communication capability to anywhere. Another important function we provide is our SkyWarn system, which is a local net on 146.7 MHz. This net is activated whenever the National Weather Service issues a Storm or Tornado Warning, and serves to report actual storm characteristics such as wind gushs, hail size, rainfall, and cloud formations. This information is passed to the Peachtree SkyWarn net run by the National Weather Service, and provides direct ground true. To demonstrate and maintain our operating skills, we often provide our communication capability to local civic activities. Examples of these events include the Tour-De-Lake Bike Ride, the West Point Lake Triathlon, the WalkAmerica run by the March-of-Dimes, and the MS 150 Mile Bike Ride.